Confessions of a Train Geek: Paintball With Museum Cars? 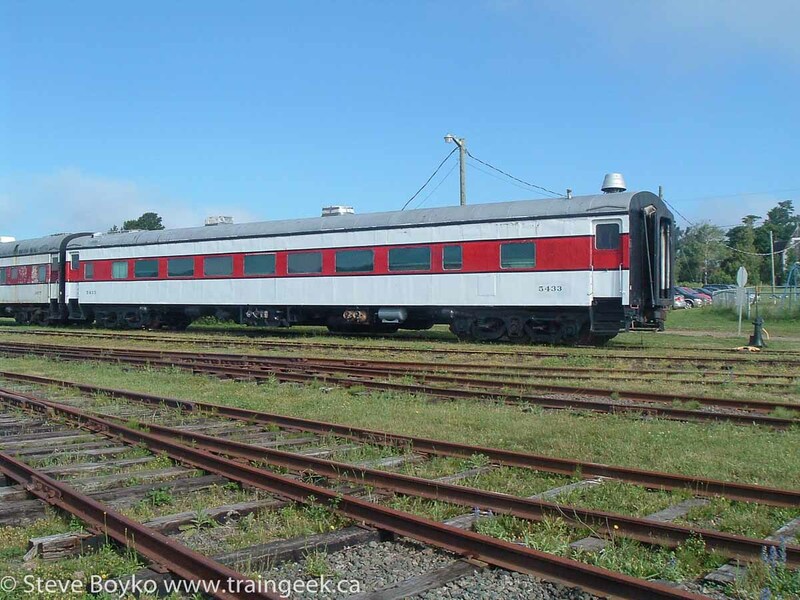 The CBC recently reported that the New Brunswick Railway Museum recently turned two railway cars (a sleeper and a diner) over to the paintball business next door to it in Hillsborough. The paintball group (Atlantica Outdoor Recreation Centre) will be using the cars as props for their paintball and other games. Museum curator Art Clowes (disclaimer: a friend of mine) said that the museum is unable to afford the upkeep for some of its cars, so the paintball group will look after them until the museum is able to restore them. Atlantica owner Aaron Nelson said they would do some minimal maintenance on them. The CBC article failed to mention that the museum already turned over the remains of a CN flanger and an old outside-braced boxcar (perhaps two?) to the group. The cars were all on the south leg of the wye in Hillsborough by June 20th. Personally, I have no issue with it. 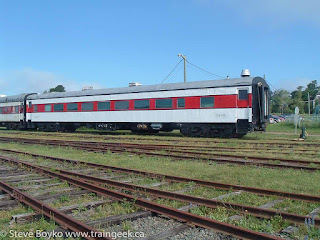 I know the NB Railway Museum is desperately short of volunteers and of money, so if someone can find a use for these cars other than scrap metal, they should go for it. 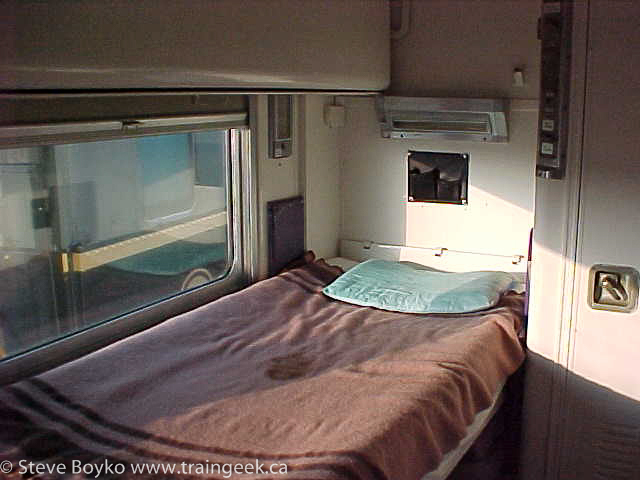 Commenters on the CBC talked about the use of cars for rental cabins... all well and good but it all requires money and time, both in short supply. The NBRM has had its issues with volunteers in the past (I know, I volunteered there for several years) but I'm firmly of the opinion that if you aren't willing to help, you don't get to complain about how things are done. The dinner train in happier times. 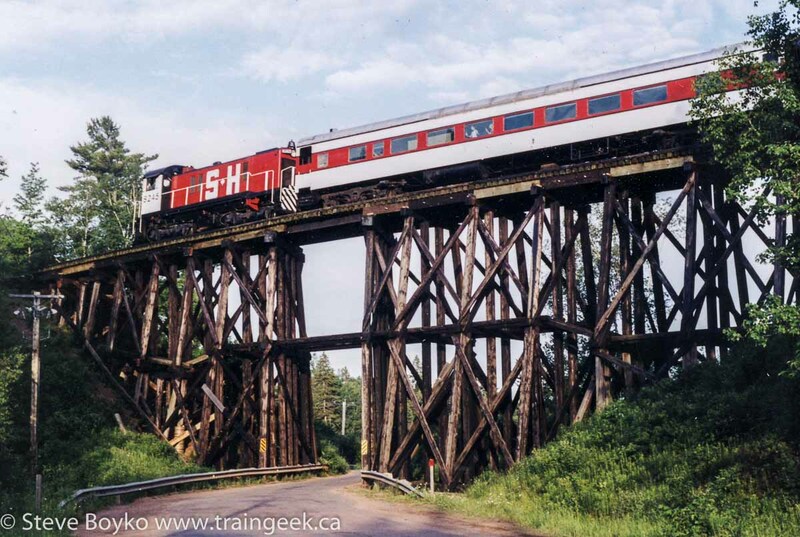 Hiram Creek Trestle, June 2002. Keep in mind that the diner hasn't been used since the last dinner train in 2004, and the sleeper hasn't had any maintenance except for a coat of paint several years ago. The flanger and the boxcars were damaged in the tragic 1994 fire and since then have languished on the scale track. Nobody paid any attention to them as they were basically written off. It's lucky they weren't sold for scrap. I'm interested to hear what you think of the use of these cars. "Ew!" What is that nasty stain on the "bed in the sleeper?" I'm not sure, Robert - that was a long time ago and my memory is faulty. Something on the blanket, I guess.